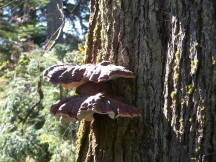 Learn the basics of mushroom identification and then head into Stanley Park. Spot common mushrooms and practice what you need to know for identification. Join us for this introduction to the extensive world of mushrooms. Bring a field guide if you have one and pack a lunch. Please register early to secure a spot at this popular workshop. Sorry, no harvesting. 12+.